Enveloping and mouth-watering, it cleanses the skin with its soft lather while delighting the senses with the joyful sweetness of its Blackberry fragrance. The special formula with Blackberry juice produces a marvellous sensation of rapturous softness... leaving you feeling like you are in a little haven of wellness. Rich, fragrant and appealing, it cleanses the skin with its soft lather and pampers the senses with the joyful sweetness of its Blackberry fragrance. Direction for use:How to use it: massage into wet skin, allowing the light, soft foam to gently cleanse you then rinse thoroughly... your skin will thank you! Scent:A sweet, carefree, and breezy fragrance. 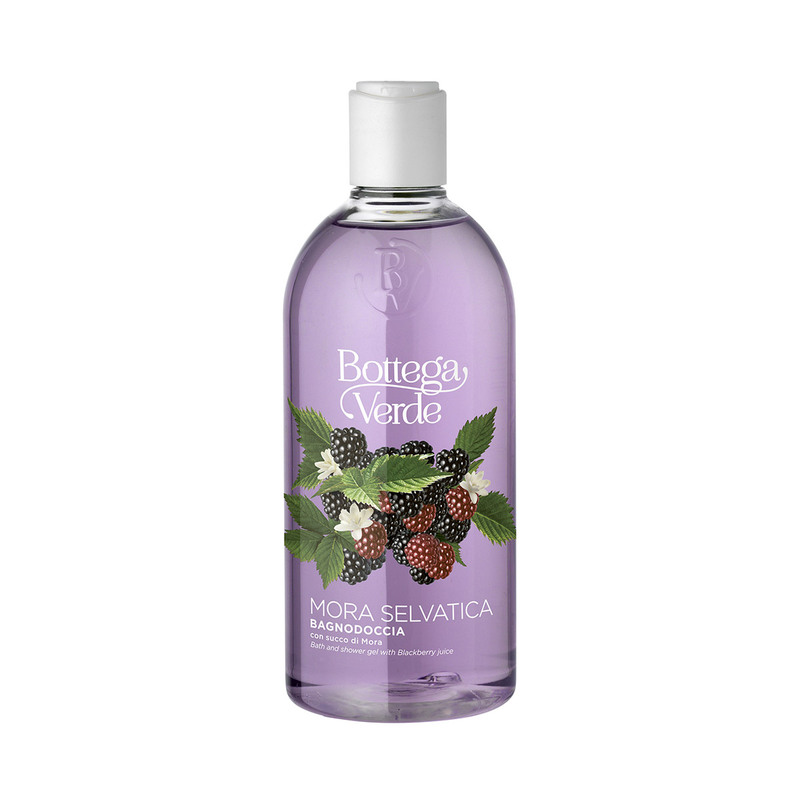 Characteristic:Bath and shower gel enriched with Blackberry juice. - 0% parabens and formaldehyde releasers.